I saw these featured on Disney's Family Fun Website and I knew it would be perfect for the boys to take as Valentine's treats for their class parties. 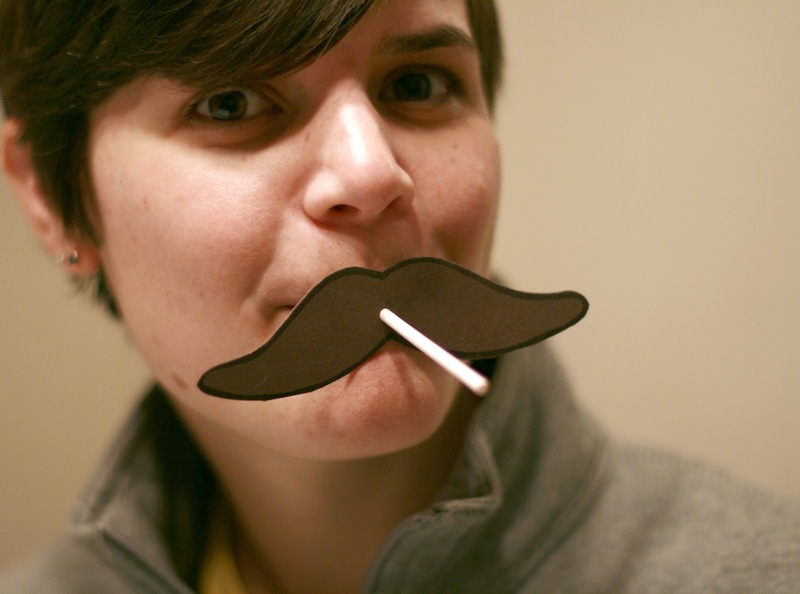 They were so easy to make, all you need is a sheet of craft foam and a sharpie marker to trace the mustaches. After I cut each mustache out I used a small hole punch in the center, the tootsie roll lollipop easily slipped through the hole. I was able to fit 25 mustaches on a sheet of craft foam that I picked up at Michael's for only 99 cents. I secretly left some on a few friends' doorsteps hoping to brighten their Valentine's Day. What adult doesn't love a fake mustache? These would make great party favors too! Now that is a cute idea.